Serve your savoury nibbles and sweet treats on these distinctive plates, part of our funky Showered With Love collection. 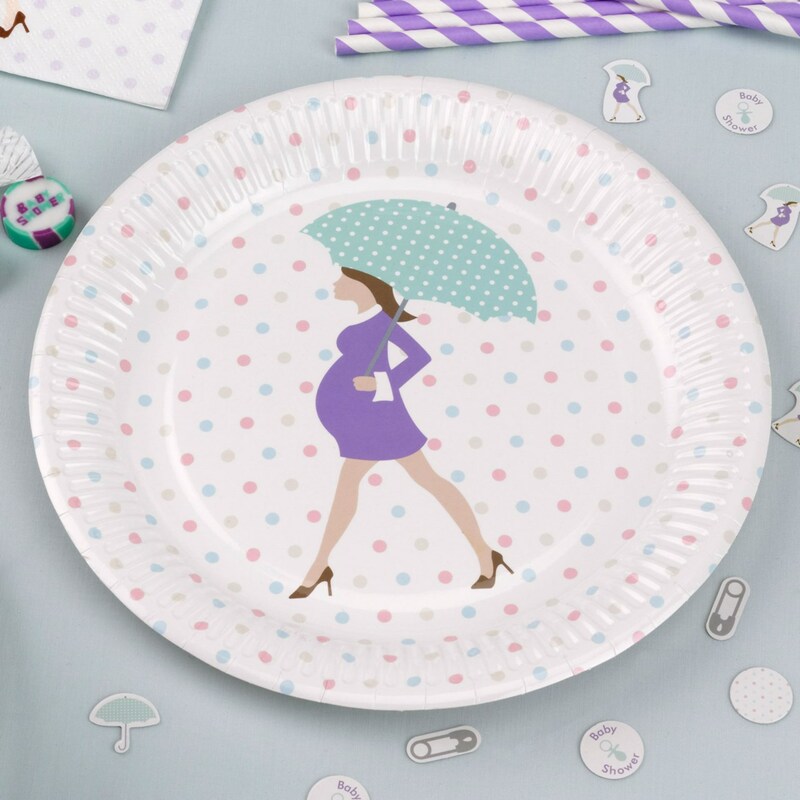 These plates feature multi-coloured polka dots and a fashion-sketch style illustration, making these a great choice for trendy mums-to-be. Each pack contains 10 Paper Plates, size: 230mm.